Any Email marketing campaign fails because the business have treated every Email recipient in the same manner. Now, the customer who loves all blue, got the Email promoting the green. May be some would love, but most of them won’t. So, do consider the like and dislikes of your customers and know them in a well manner. When you have studied your customer in a well manner, then you can surely target the customer in a way they want. If your customer loves only a specific service provided by you, then you can send Email related to that only. Mention the name of your customers in the email and every time you mail, mail with the same address. When you add the personal touch in your mails, then the customers would trust you more. This would also increase the chances of mail being read. Never use flashy graphics, big fonts or any items which feels like in-your-face. When you keep your layout simple and clean, then it would provide easy navigation and you would appear more professional to the customer. May be you think that the more you’ll describe, the more your customers would know about your products. But, this is definitely not true, as no one has time to read long texts. Instead, use small paragraphs and less of content and more of pictures to attract. If you still want to expand on some topic, then add a link. The main purpose of sending a promotional mail is to allow your customers to visit your site and avail your services. So, the most important thing is adding a call to action that can provide your customers the way to the next step. There are many ways to include a call to action, like to ask the customer to click on a link or ask them to fill out a survey. 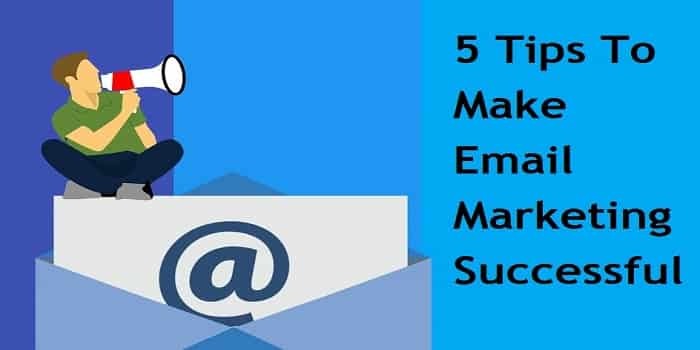 These were the few tips that can help you generate a successful Email marketing campaign, in case you need advice from the experts, then you can call at the Spark Plug Media experts at 844-633-3111.